A lawmaker from conservative New Democracy came under fire for having accepted the invitation by Recep Tayyip Erdogan to attend his oath ceremony. MP Dora Bakoyannis, a former Mayor of Athens, is th eonly Greek politician to attend the ceremony on Monday, after the country’s political leadership politely turned down the invitation. According to Greek media, the country’s political leadership politely turned down an invitation by Recep Tayyip Erdogan to attend his oath ceremony as the new super-powers president of Turkey. The invitations were sent to President, Prokopis Pavlopoulos, and Prime Minister, Alexis Tsipras. 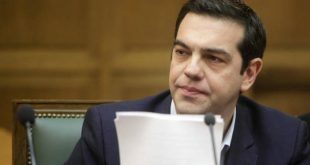 Greece will not be represented at highest level in order to display discontent over the case of the two Greek soldiers. The two are in custody in high security prison in Edirne, NW Turkey, since March 1st and without pressed charges. Ankara has several times reiterated to release the two Greek soldiers in exchange of the extradition of the 8 Turkish servicemen who fled to Greece after the failed coup in July 2016. a predocnidtion Athens vehementely rejects. MP Bakoyannis came under fire after she confirmed that she will attend the ceremony in Ankara. Greek internet users lashed out at her for attending the ceremony “while the two Greek soldiers are still in custody.” Also Panos Kammenos, leader of ANEL and Defense Minister sharply criticized her. New Democracy vice president came to her support and told media on Sunday that she would ask Erdogan to release the two Greek soldiers. Bakoyannis and Erdogan have a kind of good personal relation ever since she was mayor of Athens. The oath ceremony is scheduled to take place on Monday, July 9th, seventeen world leaders have confirmed to attend. 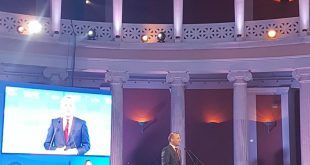 Another member of New Democracy, Dimitris Avramopoulos, will attend Erdogan’s big fiesta, however, in his role as EU’s Commissioner for Migration. PS Can you imagine the political impact in Greece, should Erdogan releases the Greek soldiers after meeting with Bakoyannis? Even if this happens purely by coincidence, as the post-coup State of Emergency will be lifted in Turkey as of next week and the Greek soldiers’ lawyers see some chance that they be released from custody as the normal laws will apply again.